On March 13, 2017, 3R Technology was approved as an active NAID (National Association for Information Destruction) Member in good standing. 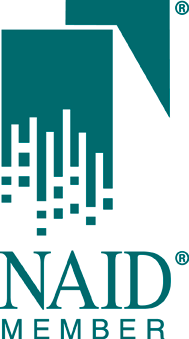 We are proud to support NAID’s efforts to promote the secure destruction of sensitive information by outsourcing to a qualified service provider. We are currently in the process of applying for NAID AAA Certification, a rigorous standard that guarantees the highest level of security, transparency, and consistency when engaging in data destruction services for our clients. The NAID AAA Certification Program is a voluntary program for NAID member companies providing information destruction services. Through the program, NAID members are audited for mobile and/or plant-based operations in paper or printed media, micromedia, computer hard drive destruction, and/or computer hard drive sanitization. Certification for 3R Technology is expected to be completed by summer of 2017.